Over the past 10 years, we have conducted rigorous science in support of management. Our reliable measures of reef condition allow us to identify the most urgent threats and responses. HRI training workshops continue to strengthen scientific capacity. Our partners are scaling-up and improving management in 47 MPAs spanning almost 60,000 km2. Through our Regional Coral BleachWatch Network, we have quickly mobilized and supported teams of partners across the region to monitor coral bleaching. HRI convenes annual partner meetings, enabling us to achieve a common voice and collectively accelerate conservation action. Together, we have shaped policy, such as protecting herbivorous fish in 3 of 4 countries. It has been 20 years since the four country leaders signed the historic Tulum Declaration, committing to protect the MAR's shared resources. Our science-based knowledge and collective management efforts need to be accelerated—particularly to reduce pollution and increase replenishment zones. 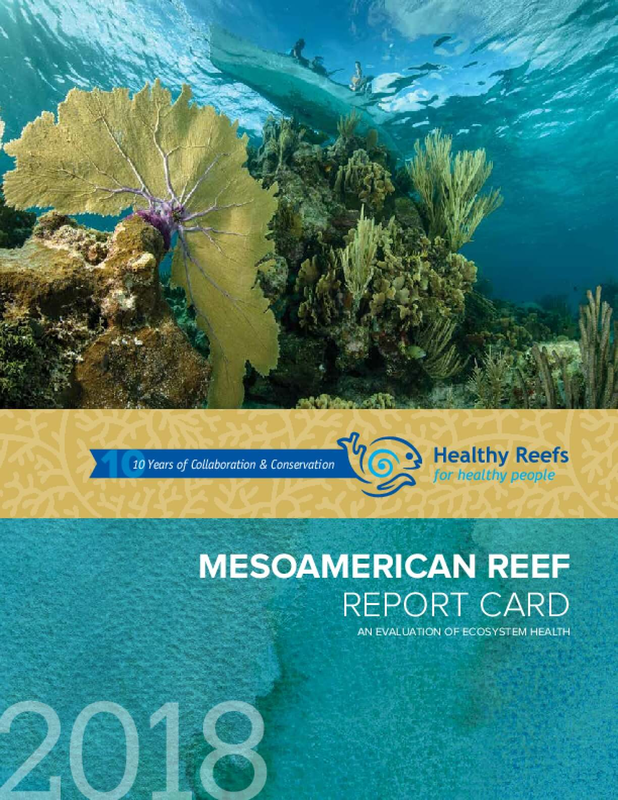 Our 2018 Coral Reef Report Card includes a 10-year perspective on reef health and conservation aimed to ensure our reefs will endure and thrive into the future. Copyright 2018 by Healthy Reefs for Healthy People Initiative. All rights reserved.